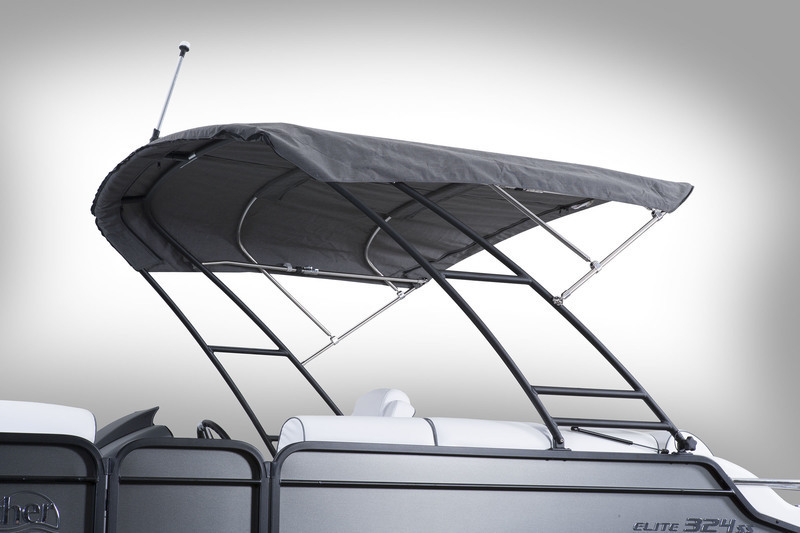 Elegant style, custom craftsmanship, and the spirit of the SunCatcher line combine in the new Diamond Elite 324 SS. This unsurpassed combination of beauty and personality has created a new level of luxury for the SunCatcher line. Head-turning style comes standard, with black powder coated logs and rails, charcoal fencing, pewter with harbor gray custom graphics and aqua tread slanted weathered teak flooring.On board, elegant furniture combines with premium amenities to create an atmosphere of total relaxation while on the water. You’ve waited long enough…it’s your time to shine with the new Diamond Elite 324 SS. 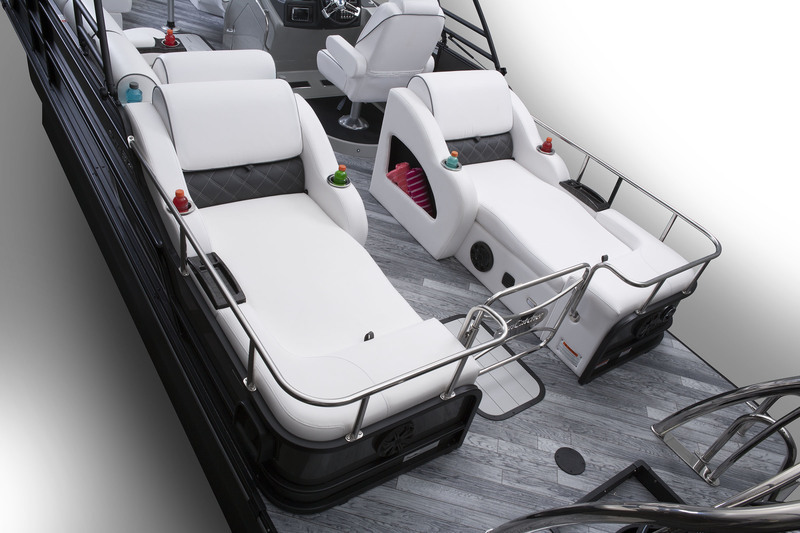 Request a Quote on a Diamond Elite 324 SS. 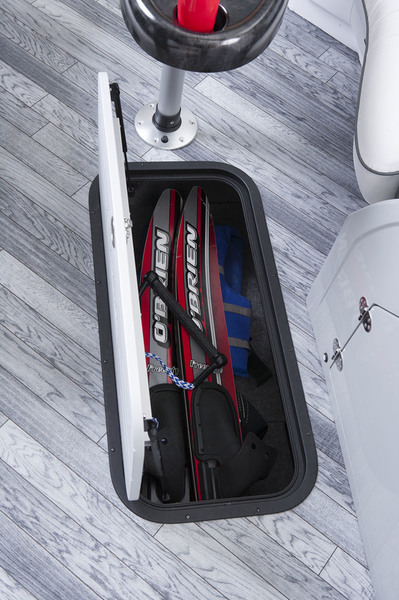 In the bow, plush furniture, a pedestal table and under-deck storage for skis and water toys means the Diamond Elite 324 SS is ready for entertaining and fast-paced fun at a moment’s notice.